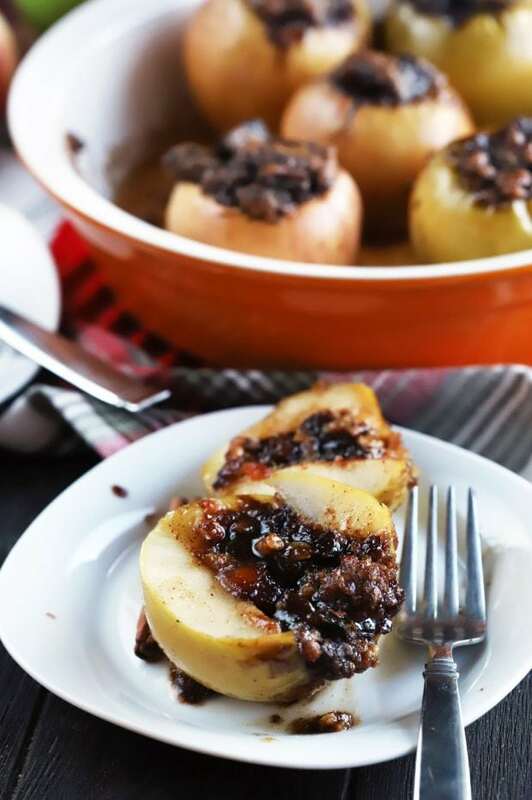 Stuffed Baked Apples With Dates & Granola are like a warm hug. 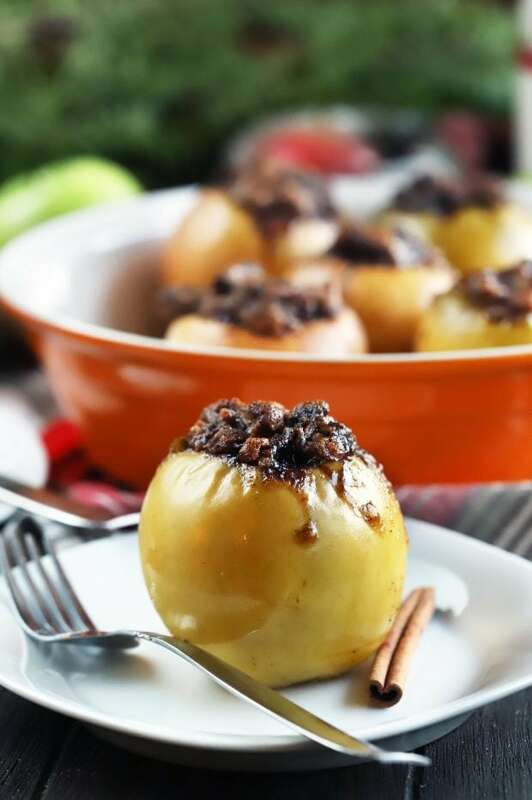 The soft and tart apples are filled with warming spices, dates, granola, and a touch of dark rum, making for a crunchy and chewy delight of a dessert. 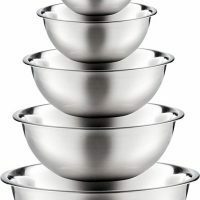 They are perfect for bringing your loved ones into the kitchen to create special memories this season! Fair warning, I might be getting a little sappy in this post, but bear with me. One of the things I love most about my husband is how passionate he is about Cake ‘n Knife. He is always curious to know what I’m working on. He constantly wants to watch and help me cook/bake. 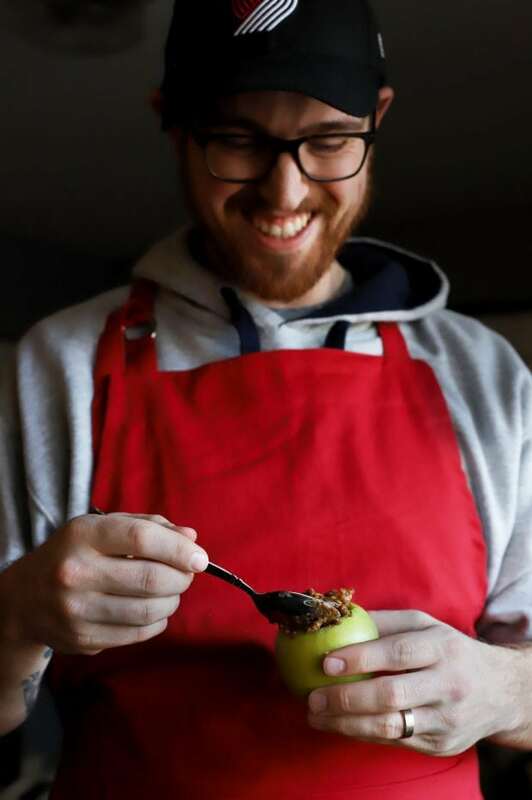 He’s told me several times that he loves seeing me bring recipes to life right here on the blog. He is so supportive, so when he suggested that he sponsor one of the 12 Days of Jolly Giveaways, I jumped at the chance. 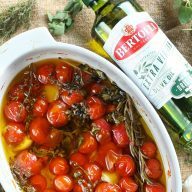 This recipe is 100% The Man’s recipe. He thought it up. He made it. We ate it. Being together and cooking or baking in the kitchen always gives me a happy, warm feeling inside. We often try to cook together, even on weeknights when life is hectic, because it brings us closer every single time. It reminds me of how I used to love cooking with my mom or my grandmother in the kitchen, creating memories and just spending time together. In an age of screens ruling a huge portion of our lives, getting together in the kitchen is one of the easiest ways to make sure you spend quality time with your partner, or any loved one. 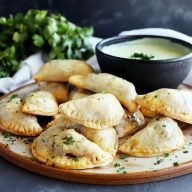 The whole theme of this recipe and post is to really bring that point home. With the holidays in full swing, why not take advantage of a quiet night at home, making something sweet (or savory) with your partner? 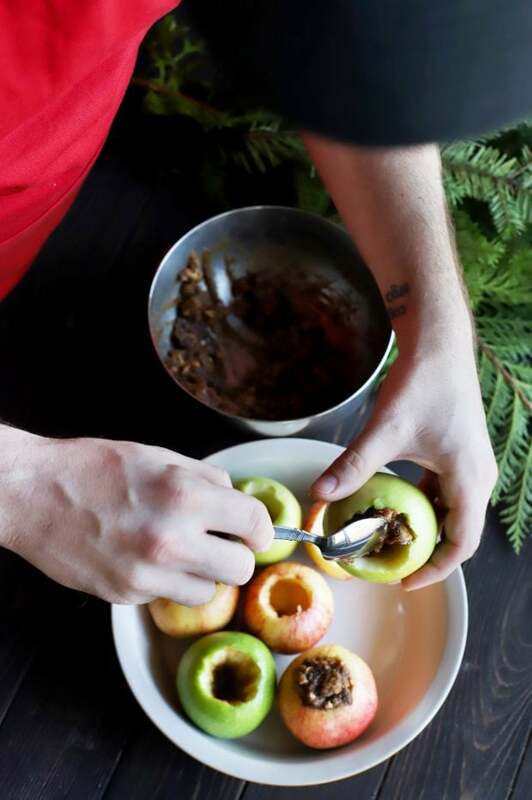 These apples are filled with crunchy, chewy goodness. 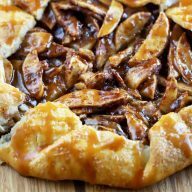 After that, the dates and granola come together with warming spices, rum, butter, and sugar to make for a dessert that tastes like an amped up apple pie. 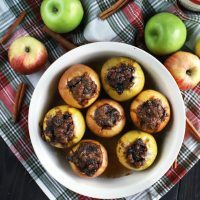 They are so easy to make, and while they bake, you can take the opportunity to snuggle up with your honey over a cup of coffee or a cup of mulled wine. It’s everything you need to make this holiday season extra special. 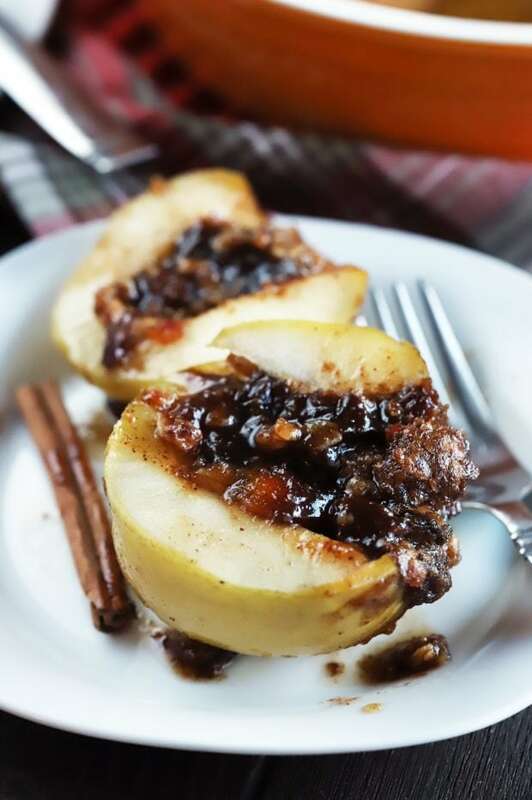 Special thanks to the Man for sponsoring this post and for making a baked apple recipe that I will never forget (and never want to stop eating)! 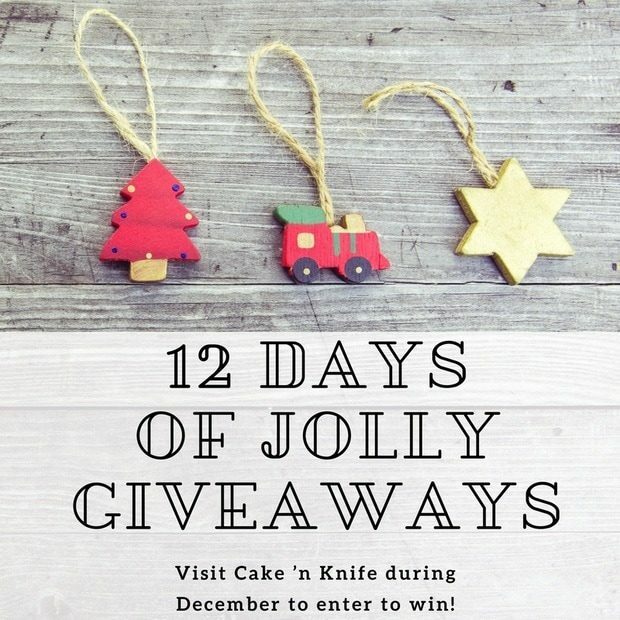 You might have seen that I have a special promotion going on right now… It’s the 12 Days of Jolly Giveaways! We are at DAY FIVE already, and I just can’t believe it. Almost halfway through the fun! Since this post idea and recipe was all The Man’s genius, he is the official sponsor of Day 5! We are all about cooking in the kitchen together, so this giveaway is perfect for you and your honeybun this holiday season. First we have his and hers (or hers and hers, or his and his, or theirs and theirs!) aprons. They are perfect for keeping clothes clean and looking like the most adorable holiday couple ever. Second is a set of two silicone spatulas to go along with the aprons. 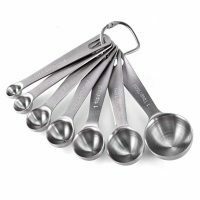 These will help you scrape ever drop of deliciousness from whatever bowl of goodness you are working with. Finally, super adorable mugs! The Man and I love to snoodle over mugs of hot chocolate, mulled wine, or spiked cider this time of year. So the Man insisted we include a set of matching mugs. You and your partner can ring in the new year side-by-side in the kitchen! 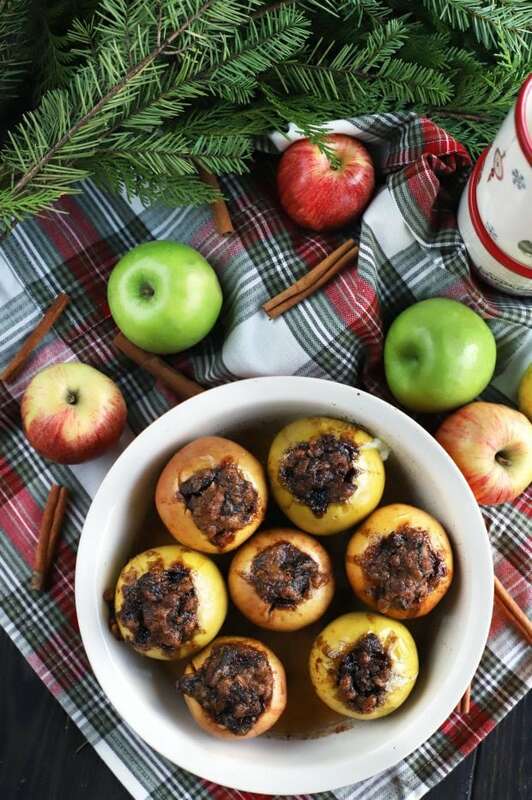 You can snuggle up with these baked apples afterwards. 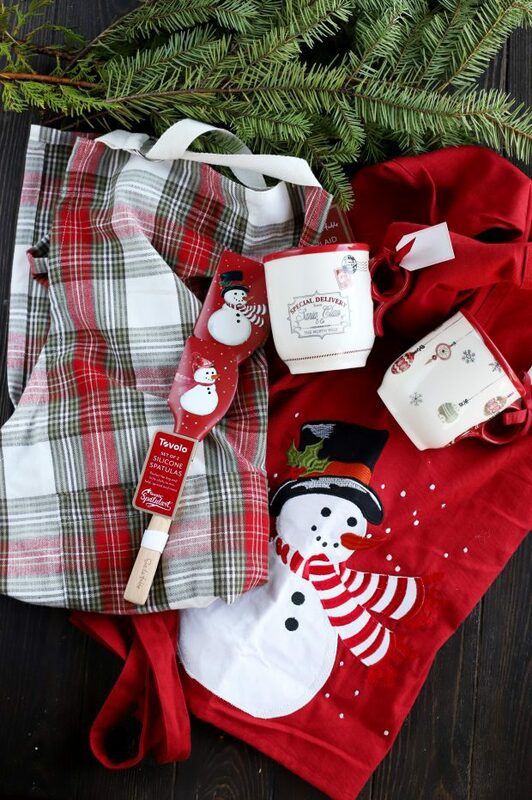 Head below the recipe card to enter the giveaway for a chance at this holiday-themed set of kitchen festivity! is a great alternative and it comes in different colors. 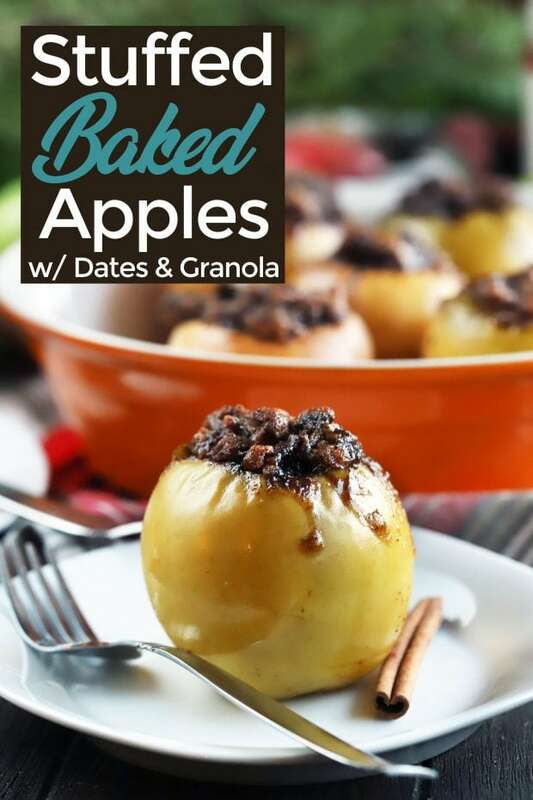 Pin this Stuffed Baked Apples With Dates & Granola recipe for later! Soft baked apples are stuffed with dates, crunchy granola, and tons of warming spices to make for an easy, oh-so comforting dessert. 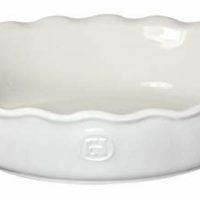 Preheat oven to 350 degrees F. Grease a deep pie pan or an 8x8-inch baking dish with butter. 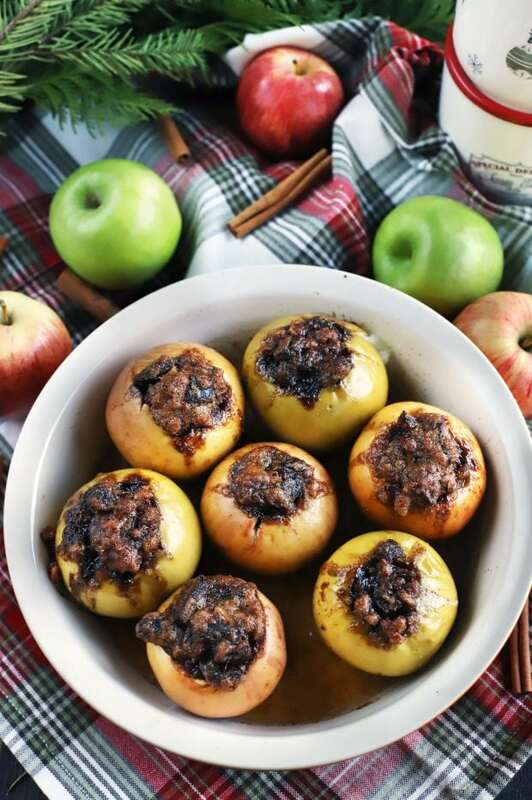 In a medium bowl, combine butter, brown sugar, cinnamon, nutmeg, cloves, and rum. Stir to combine well. Fold in dates and granola. Core the apples, leave about 1/2-inch at the bottom. Be sure not to core the apples all the way through. Stuff the apples with about 2 Tbsp of the filling. Add apples to the baking dish. 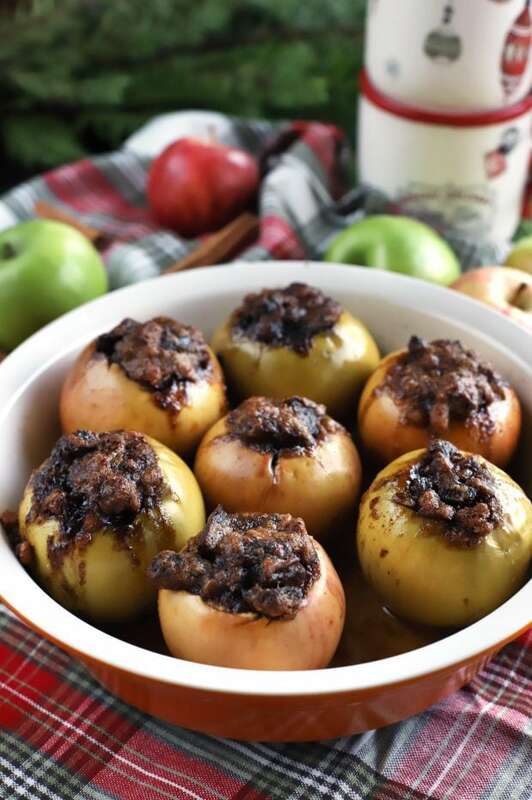 Gently pour in apple cider into the bottom of the dish, making sure not to pour over the apples. Bake for 35 minutes, or until soft enough to pierce with a fork. I love making appetizers and soups. We love to make homemade breads. Its all about the sweets. Cookies, cookies, cookies! We make Christmas eve dinner together, he makes the main dishes and I do the appetizers and dessert. We love to get together to make Christmas cookies and fudge every year! We love soups and finger foods. Don’t get much time to cook together. I love baking rum cakes with my husband for friends and family. I like when we make oatmeal scotchies. One of us makes the cookies, while the other eats handfuls of butterscotch chips!! Cookies – it’s really the only time of year we get together to cook. We love to make snickerdoodles and pumpkin pie. I like to make a big selection of cookies for the holidays. My husband loves almond pine nut cookies. I love to bake with my grandson! We like to make sweet treats all year long! I love baking with my loved ones at Christmas!